The body is exposed to chemical by-products both internally and from the environment every day and needs to be able to process and eliminate them quickly and efficiently. The liver, in particular, is vital to this process and so maintaining optimal liver function is integral to good health and wellbeing. Certain foods such as artichoke are natural sources of vitamins and minerals which can contribute to good liver function and other detox processes. Occasionally, the body might require an additional boost of nutrients. 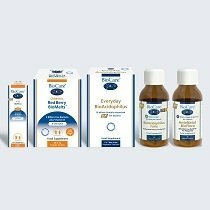 The BioCare® range of detox supplements features a selection of nutritional, botanical and antioxidant complexes which are designed to support the process of eliminating toxins, as well as liver function. Whether you need a bit of help with the daily maintenance of good liver function, or more potent supplements, we offer tailored options for everyone, from gentle products to more intensive ones, as well as providing vegetarian and vegan options. Our new Glutathione Complex features a combination of reduced glutathione along with vitamin C, manganese, zinc and selenium, which all contribute to the protection of cells from oxidative stress, a process that can cause toxic effects in the body. New BioCare® Cysteine Complex includes broccoli sprout (providing natural levels of sulphoraphane) n-acetyl cysteine, alpha lipoic acid and molybdenum which supports sulphite metabolism and plays a vital role in energy and iron metabolism. It is available in a capsule form for convenience when varying the dose. Artichoke is a known natural source of cynarin which may help maintain a healthy liver and support detoxification. 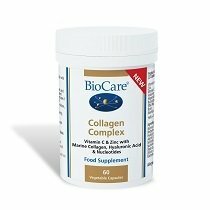 BioCare® Artichoke Complex combines artichoke along with dandelion, burdock and turmeric. 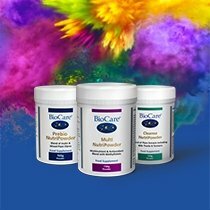 Explore the full range of detox supplements available at BioCare® below and learn more about their benefits and the importance of a healthy detoxification process in our Advice section.